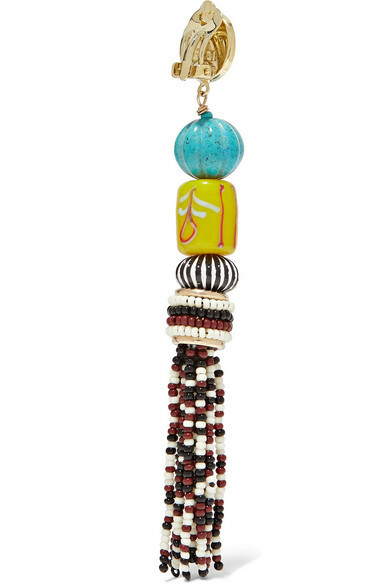 Veronica Etro finds inspiration from her travels around the world. These gold-tone clip earrings are reminiscent of decorative styles crafted and worn by Hutu women in East Africa. 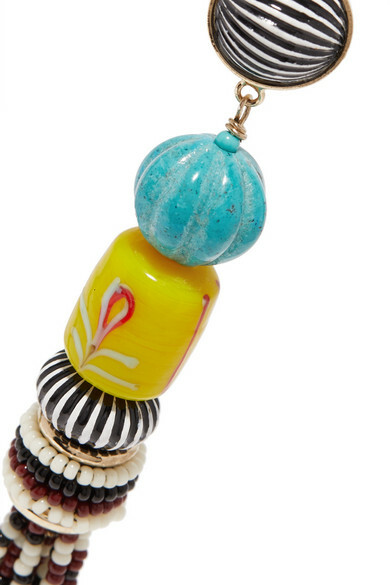 They're made from tiers of colorful glass, resin and enamel-painted beads with tasseled ends that swish freely. Shown here with: Cédric Charlier Dress.